Let's blur the line between the real and the surreal. Though many people assume science and art are polar opposites with no crossover, these nine artists prove that specializing in one field doesn't prevent you from exploring the other. These contemporary artists test the boundaries between science and art, and their convergence often yields beautiful results. 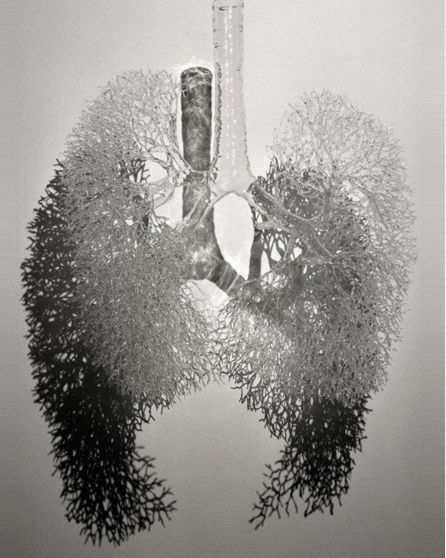 Reis is an artist based in San Francisco who uses biological research techniques as both context and inspiration for her work, which explores "the increasingly fuzzy line between the technological and the natural." Her work relies heavily on epoxy polymer, which is a new media plastic that she treats with a variety of dyes and pigments. 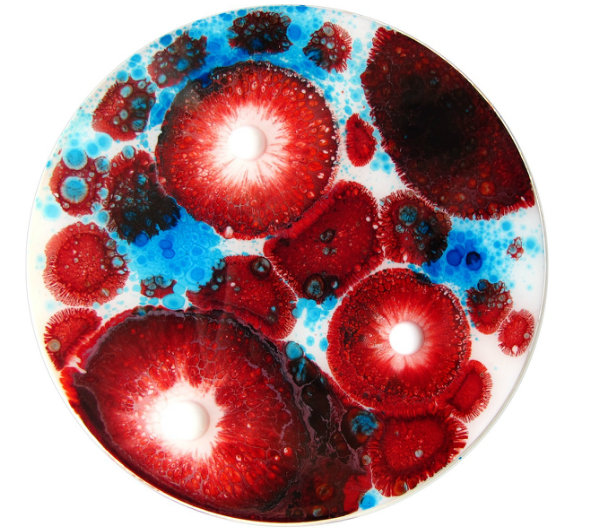 One of her projects, "Hypochondria," involves the installation of hand painted Petri dishes mounted on walls in unique groupings. Chyr is an artist based in Chicago who "creates platforms and systems that replicate processes found in nature." Much of his work involves the inflation of thousands of balloons to create large and complex sculptures. 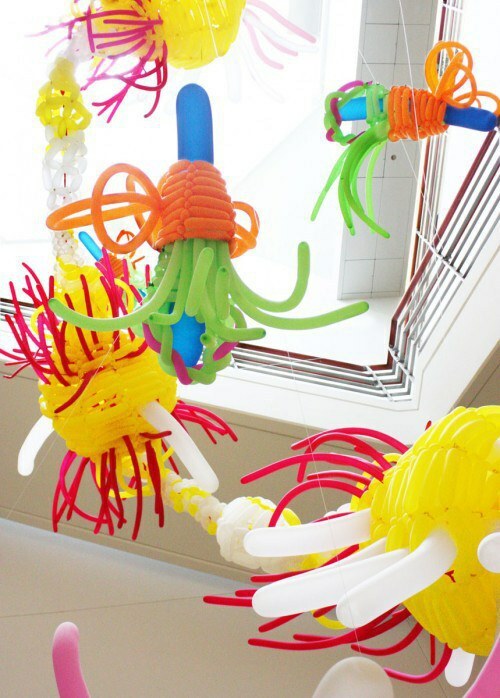 These sculptures are based on a variety of biological systems, from the biology of jellyfish to the interactions between neurons. Jerram is an artist based in the UK who is known for his large scale public artworks. 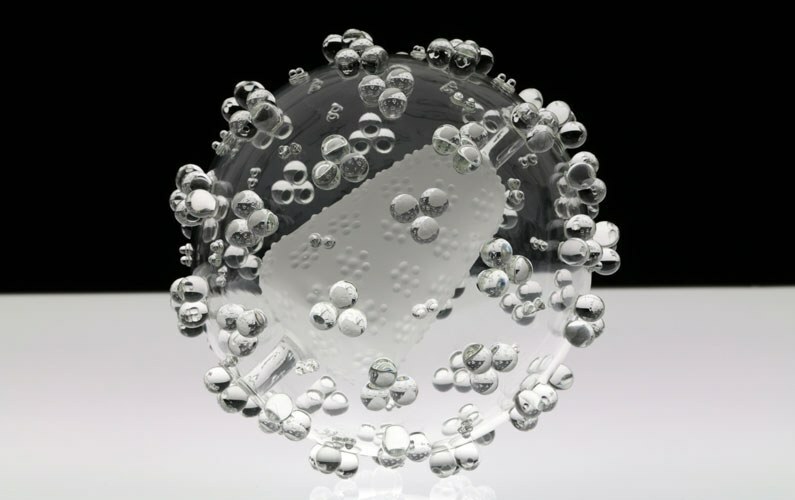 His "Glass Microbiology" project works to give another face to viruses, which are usually represented through artificially colored images, but which are in fact colorless. His glass sculptures pose interesting questions about the tension between their aesthetic beauty and the often very harmful and painful things which they represent. They are also widely used in scientific contexts because of their accuracy. Aldworthis an artist based in London who works as an artist-in-residence in medical or scientific settings in order to "explore the different personal, medical, and scientific narratives around human identity." 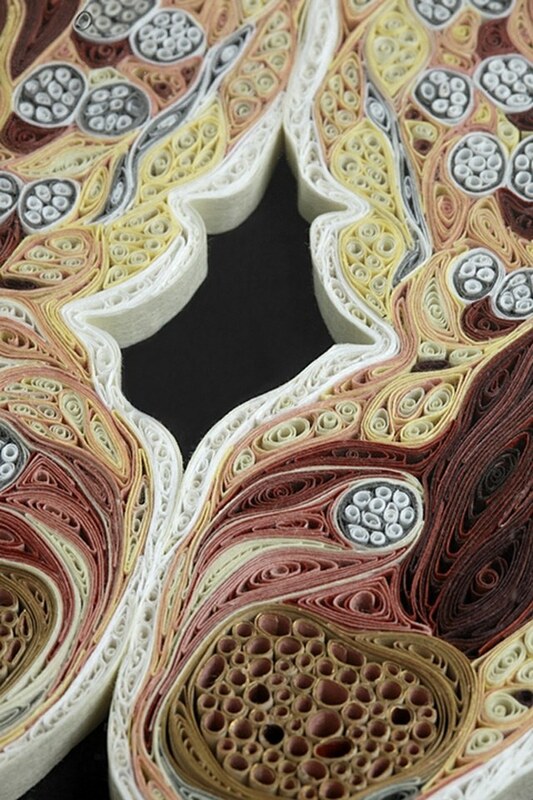 Nilsson is an artist who works with quilled paper to create anatomical cross sections (among other things). 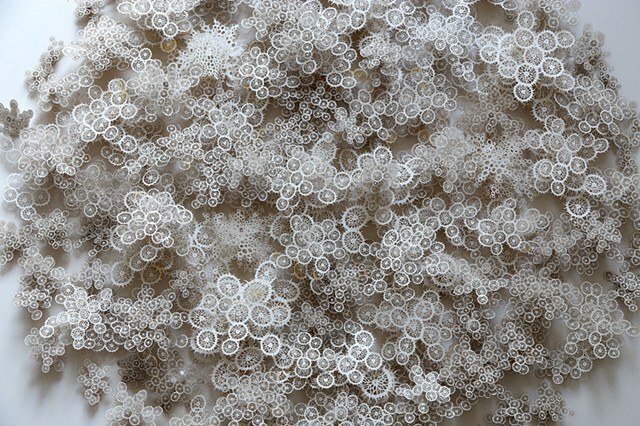 Brown is an artist who works with paper and with a variety of organic forms, from cell structures to geological structures, to create intricate sculptures. 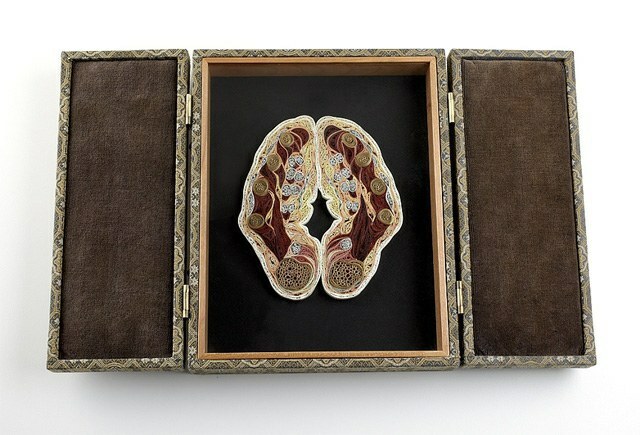 Sellars is an artist who studies human anatomy in the context of art and history. Her current research focuses on the role of light in "the translation of flesh into image." Cattrell is an artist who works with ceramics and glass and draws inspiration from neuroscience, meteorology, and engineering. Muniz is a Brazilian artist and photographer known for creating installations (often based on famous imagery) and photographing them. He participated in M.I.T. 's CAST program, which pairs artists with scientists. 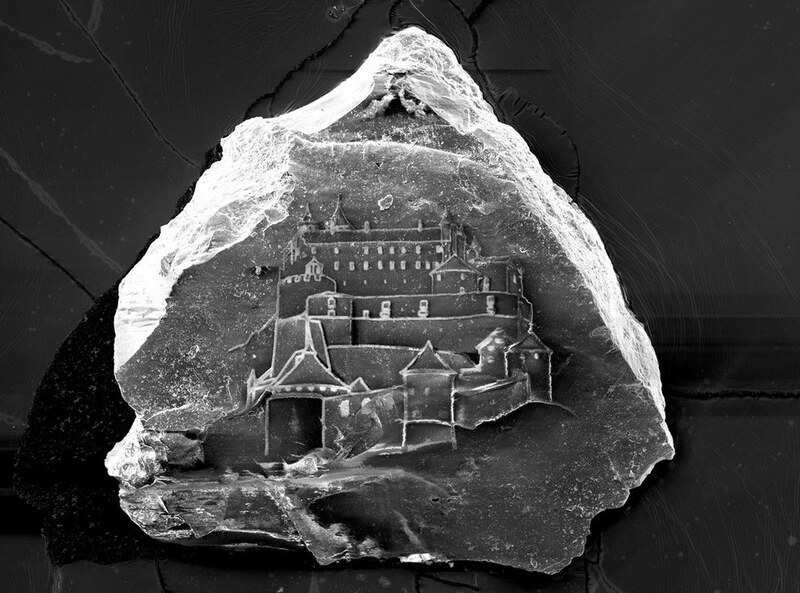 Muniz's project utilized a complex process involving electron microscopes and ion beams to etch images of sandcastles into single grains of sand.